This article is aimed to assist people purchasing a freediving or spearfishing wetsuit. It will help to explain the main differences between open cell vs closed cell wetsuits and different exterior lining options. To understand the differences first we need to look at how wetsuits are made. When neoprene is manufactured it is produced in thick sheets. These sheets are then cut into thinner sheets creating the thickness of your wetsuit e.g. 1.5mm to 7mm. If neoprene is then lined on the interior surface with fabric such as nylon or polyester it becomes a closed cell wetsuit whereas if it is not lined it becomes an open cell wetsuit. Neoprene itself consists of millions of tiny air bubbles and when cut these air bubbles are exposed (open) creating micro suction cups against the skin. When worn against the skin the open cell neoprene sticks to the skin creating a watertight seal to keep a diver much warmer. Comparatively a closed cell (internally lined) wetsuit does not have this ability to suction to the skin and water then moves freely between the skin and the wetsuit cooling the body to water temperature. You can get a similar amount of warmth from a closed cell wetsuit but it will need to be thicker, this reduces flexibility and requires more weight on your belt. For example a 3mm open cell would be equivalent to a 7mm closed cell wetsuit in terms of warmth. (This is my opinion from experience only. No scientific research on this). An open cell wetsuit will require lubricant such as soap when putting it on due to the stickiness of the neoprene – see our guide here. Whereas a closed cell wetsuit will easily slide onto the skin. A closed cell wetsuit is stronger than an open cell wetsuit due to the additional reinforcement the internal lining provides. This can be particularly important in thin wetsuits such as 1.5mm. However the internal lining does reduce flexibility marginally when swimming. Now let’s talk about the different exterior lining combinations. This is the second thing to consider when purchasing a freediving or spearfishing wetsuit. An open cell wetsuit with exterior lining is the most common wetsuit used for spearfishing and general freediving in the ocean. It provides the flexibility and warmth of being open cell but also has durability against abrasions. 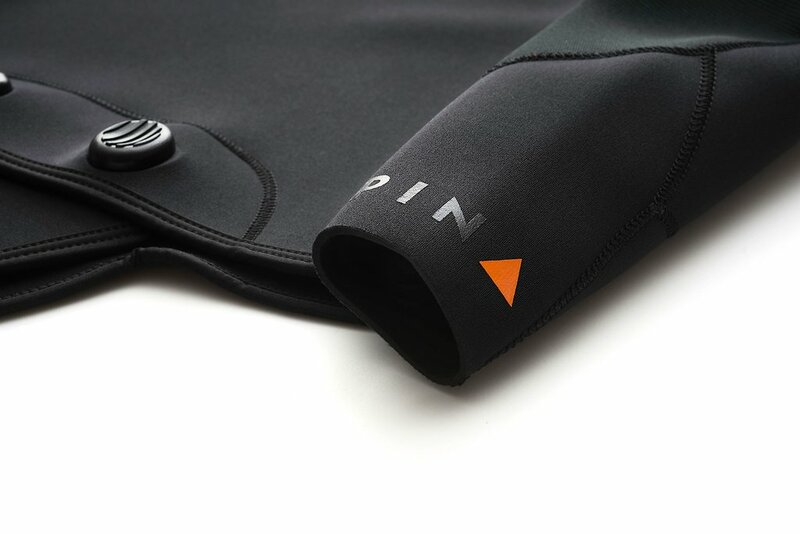 Our Ninepin wetsuits are of this configuration as it is important to us that your wetsuit has a longer life which is better for your wallet and the environment. If you want a combination of spearfishing/ freediving performance and durability, this is the type of wetsuit for you. Another style of wetsuit has an open cell interior with a smoothskin exterior. These are most commonly used for freediving competition use, but some spearfishers use them in areas with minimal chance for abrasions e.g blue water hunting. Smoothskin is the outermost layer of neoprene before it is cut into sheets. The benefit of this type of wetsuit is less drag in the water due to the super smooth exterior. Less drag means more speed for less effort. They are also the most flexible style of wetsuit as there is no additional lining to restrict movement in any way. Additionally smoothskin is the warmest option if you are getting in and out of the water as the exterior smoothskin surface dries almost immediately reducing the windchill factor. The downside of a smoothskin exterior is without any material lining it any small cuts and abrasions can easily tear it. You need to be extremely delicate when putting this style of wetsuit on and off as they tear very easily (I am talking from experience). The third wetsuit style I want to compare is lined on the interior (closed cell) and smoothskin on the exterior. This is a great option for freediving and triathlon/ ocean swimming as it has low drag with some strength due to the lining on the inside. It is also an option for warm open water spearfishing. The internal lining protects the wetsuit from tearing when getting in and out of it – a task that is particularly delicate with open cell/ smoothskin wetsuits. The downside is with a closed cell interior these wetsuits are not as warm and designed for warmer waters and pool use. Additionally the smoothskin exterior has very little external protection against sharp objects or environments you may often run into into when spearfishing such as fish spikes, sharp rocks and even fingernails. The final wetsuit to consider is the double lined wetsuit (lined interior and exterior) closed cell wetsuit. We have already looked at the benefits of a closed cell wetsuit. Durable and easy to put on. The downsides are less warmth than open cell and more drag than a smooth skin. This type of wetsuit is perfect for surfing and general scuba diving. For freediving and spearfishing I only recommend these wetsuits in 1.5mm for warm water diving – 27 degrees celsius and above. In conclusion I hope this helps you find the right wetsuit for you and your needs. Remember the most important thing is just getting out there and getting in the water with whatever equipment you have. But with the right wetsuit choice you will find the most comfort and get the most out of your diving. What is the BEST kind of lube for an open cell, smooth skin suit?